The IAF has integrated new capabilities to its M-346 jets to push forward the training level of young pilots and WSOs. 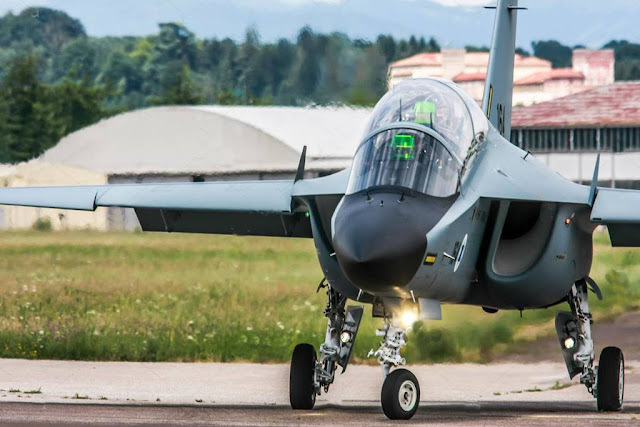 Israeli military authorities have declared on several occasions that the M-346 "Lavi" trainer jet marked a new era in the pilot and WSO (Weapon Systems Operator) training of the Israeli Air Force (IAF). In 2012, the nation signed an agreement with Leonardo to buy 30 M-346 advanced jet trainers to replace the old "Ayit" (A-4 Skyhawk) and "Netz" (F-16A/B) fleets. The IAF has immediately exploited all the high potential that the aircraft can offer and has also made several steps forward by introducing new capabilities. In 2017, the IAF Flight Test Squadron, based on Tel-Nof AFB, conducted a series of tests to certify the aircraft to load additional training ammunition and fuel tanks. The “Lavi” is used by IAF Flight Academy Fighter Division cadets and its graduates in their Operational and Advanced Operational Training Course with the "Flying Tiger" squadron in Hatzerim AFB. These courses serve as an intermediate stage between the completion of their basic flight training and their integration in the IAF's operational squadrons. The Italian-made jet arrived in Israel with an empty configuration, devoid of external loads, and passed test flights conducted by the Flight Test Squadron in attempt to ensure that the aircraft was ready for full use, and that all of its systems were up to the IAF's safety standards. As part of the tests, the squadron's test pilots and engineers evaluated the factors influencing the aircraft's behavior. Amongst others, the difficulty level of the aircraft's operation was tested in complex scenarios such as air-air combat and attack maneuvers. The aircraft's integration program included a gradual update of four avionics and configuration blocks upon their arrival in Israel. Program block updates were upgraded to the jet's capabilities, enabling a new flight configuration. Additional upgrades to the "Lavi" jet's capabilities are the ability to carry BDU-33 training bombs and detachable fuel tanks to prolong its flight time. Upgrades of this kind allow the IAF to maximize the training progress of its young aircrew members, as they play an integral part in bringing the "Lavi", a training aircraft, close to the technological level of the operational platforms which aircrew members will encounter in the IAF's operational squadrons.